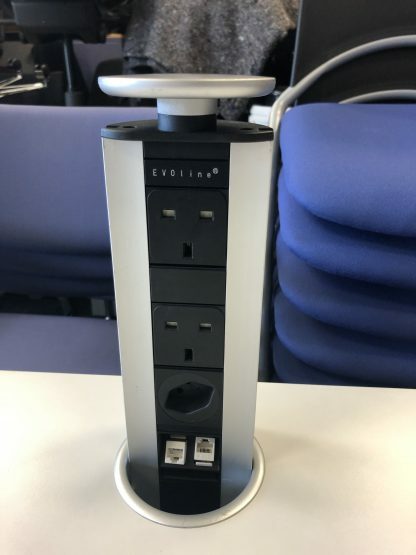 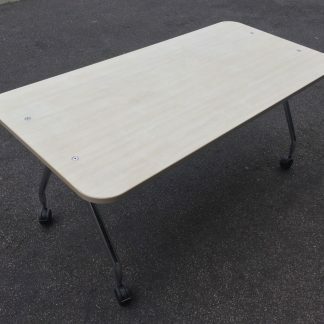 I have an excellent USM Haller office desk to offer. 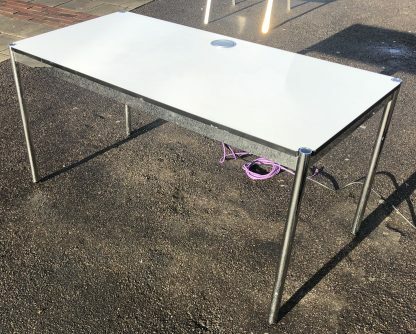 This is a truly stunning desk which incorporates great styling and design with practicality. 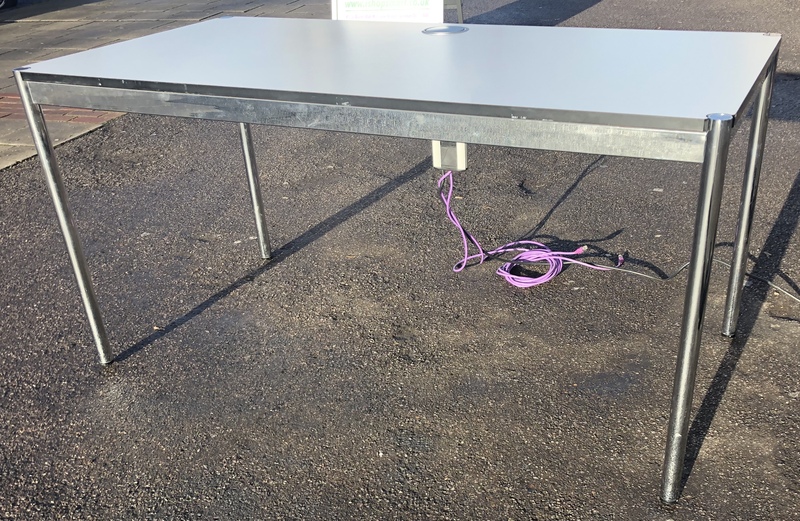 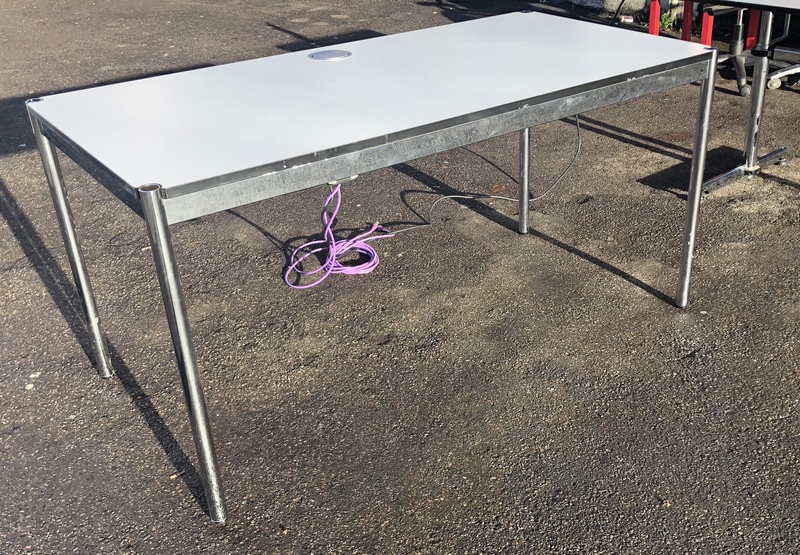 The desk is in great used condition, strong durable and ideal for setting up a home office. 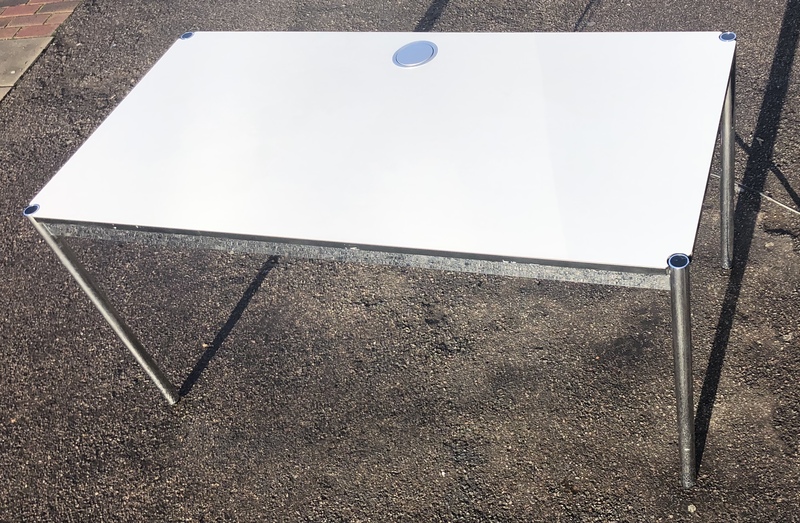 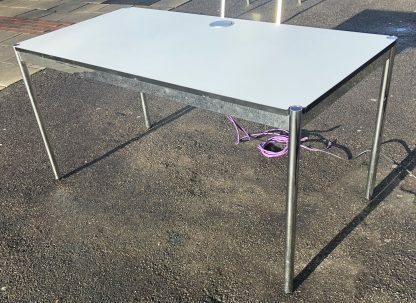 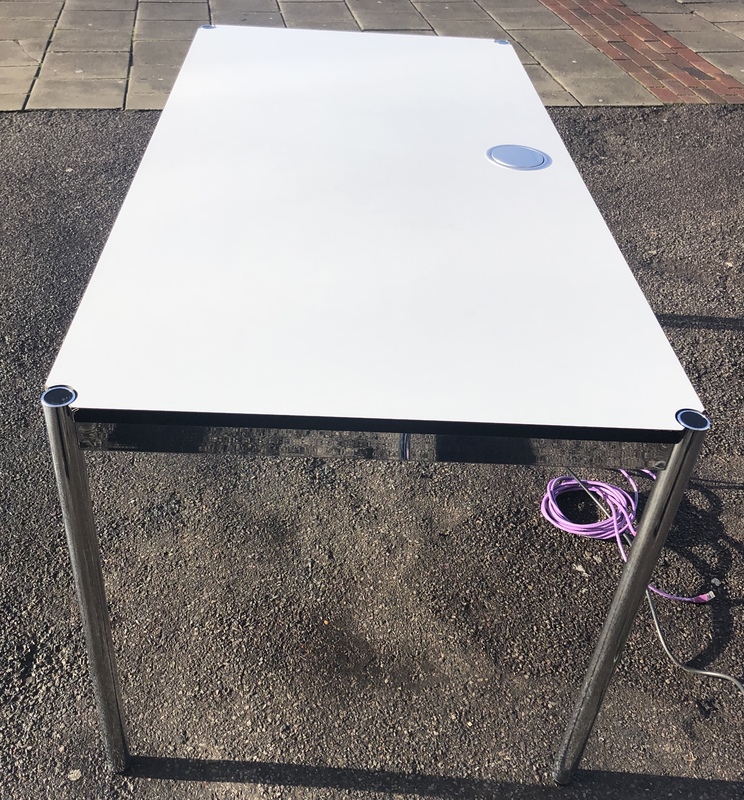 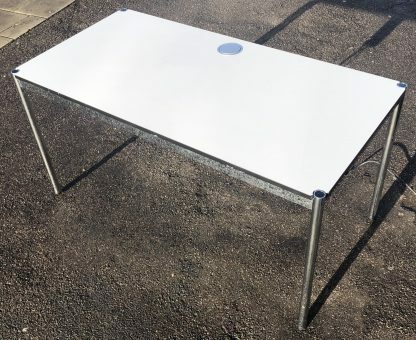 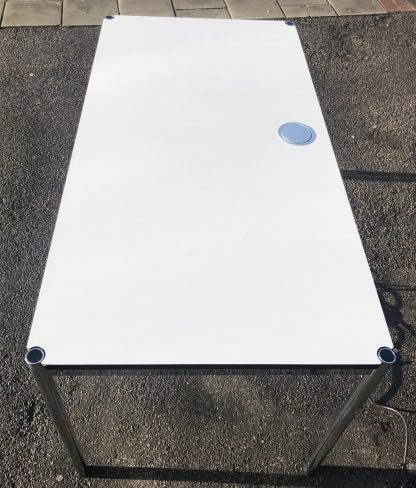 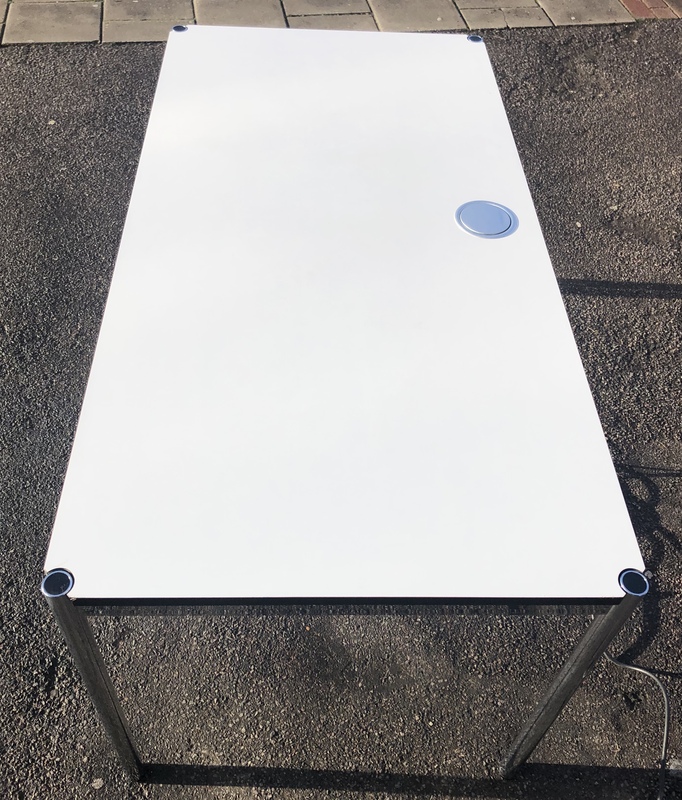 The surface of the desk is a clean white laminate surface along with chrome polished pole legs. 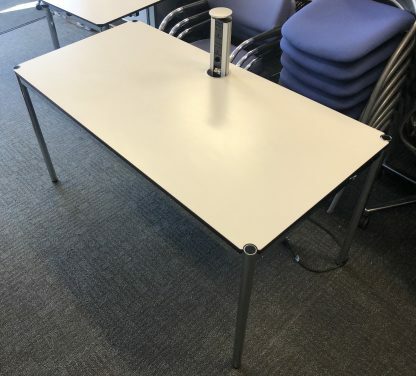 The desks also has a built in telescopic comms fitting. 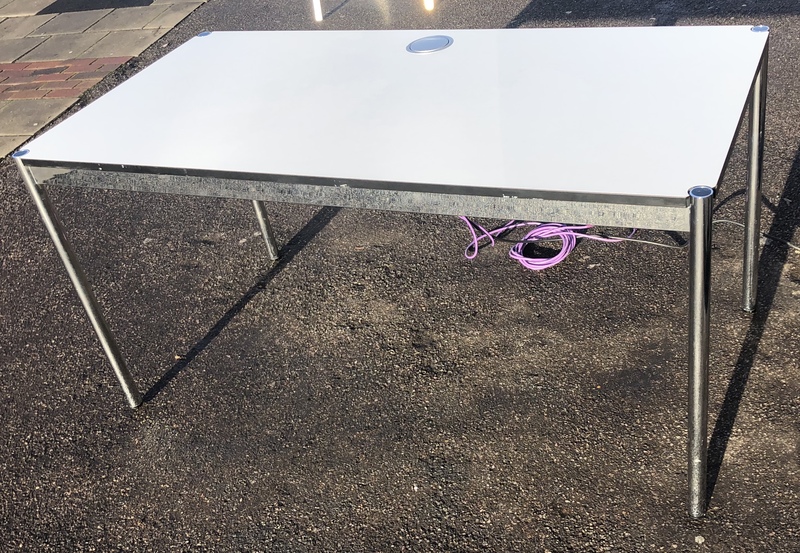 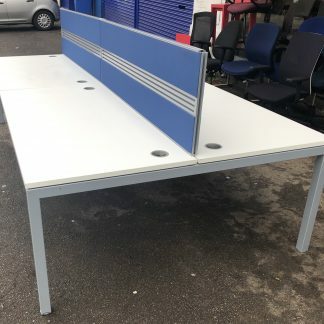 Yes there maybe the odd cosmetic mark on the desks, the odd dent or scratch as they are used, but really nothing of any note, this desk is in superb condition. 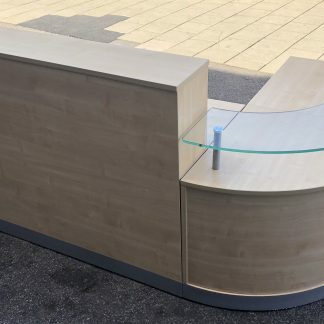 These desk is structurally excellent and really well constructed as you would expect from USM.